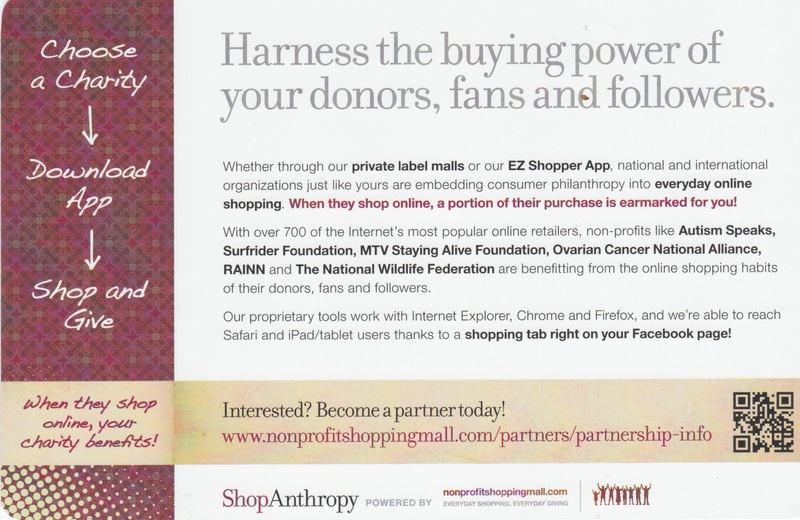 California-based online cause shopping engine nonprofitshoppingmall is building up it's Canadian mall offerings and offering new and enhanced features to Canadian non-profit organizations. We are looking forward to meeting our Canadian friends and making new ones in Vancouver! A bientôt! See you this weekend! 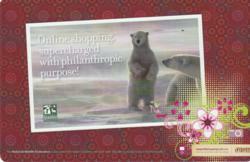 nonprofitshoppingmall.com announced today that founder Corine Couwenberg will attend the Association of Fundraising Professionals' Annual Conference in Vancouver, British Columbia, Canada from April 1st to April 3rd. The online cause shopping engine is expanding it's reach to include more international non-profit partners as well as retailers on it's website. Corine Couwenberg: "We already are collaborating with a number of Canadian organizations and we hope to be able to offer ShopAnthropy to more North American partners. Furthermore we are working with a number of U.S. based non-profits that have chapters and supporters in Canada, such as Surfrider Foundation and Autism Speaks. Consequently, we recently updated and expanded our Canadian mall to be able to offer Canadian shoppers all their favorite online shops in our Top 40 Online Mall." Interested non-profit organization representatives are invited to review the comprehensive overview to learn more about the workings of ShopAnthropy. Corine Couwenberg can be reached by email and mobile phone during the conference. CCouwenberg(at)nonprofitshoppingmall(dot)com and (714) 272 4900.